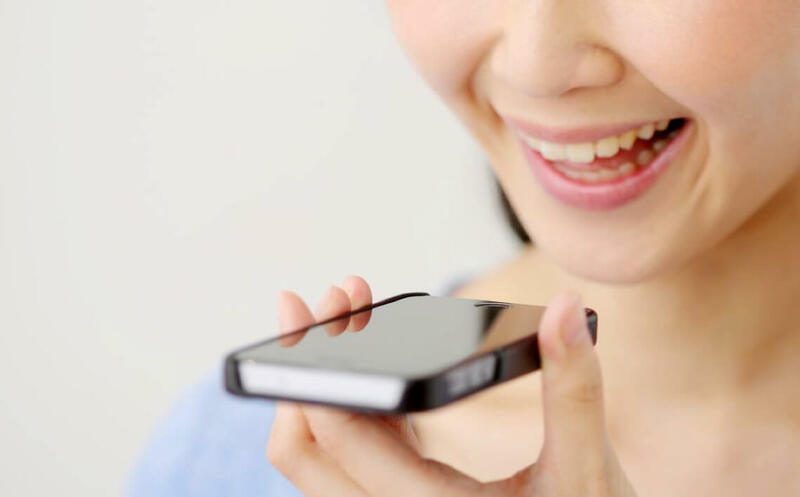 Although voice-activated assistants have been integrated into our smartphones for years, voice recognition technology and the use of voice search didn’t really catch on or explode until the past few years. This is not due to a lack of interest but rather due to the fact that the technology had to catch up to be a viable consumer option. Now that it has, there has been an influx of voice-activated assistants that have shifted and normalized the use of voice within our daily lives. Beyond our smartphones and custom mobile app development more and more individuals are relying on voice technology to simplify and automate daily tasks and it is this shift that has been making ripples through our economy. One such example is the recent pairing of Target and Google, who launched a voice-activated coupon campaign back in March of this year. In this article, we will take a look at this pairing, what its implications are, and how the eCommerce market can leverage this new frontier. What Was The Google and Target Campaign All About? The campaign was designed to create awareness around consumer’s ability to complete purchases hands-free through the use of Google’s, Google Assistant. For individuals who activated the coupon using their voice or typed the keyword (Spring into Target) via text into their Google Assistant app, received fifteen dollars off of their next Target order. The only stipulation to the voice-activated coupon was that the fifteen dollars went towards a Target order purchased through Google’s online shopping service, Google Express. The original campaign was supposed to run through April 21st, 2018 but it was cut short for an unknown reason. According to a Target Spokesperson, the promotion was cut short as target goals had been met prematurely. To some, the pairing between Target and Google may seem random or out of the blue, but in reality, the campaign was to showcase that two of the biggest brands in commerce are setting up to make waves against some of the other large brands in the market space (Amazon, anyone?). What Insights or Implications Can We Take from the Campaign? Campaigns and partnerships like the pairing between Google and Target show us that there is intense interest in voice-activated search, queries, and functionality beyond checking the weather and playing music hands-free. These types of campaigns will be used to boost sales and ramp up loyalty to specific brands and tech giants. There is growing evidence that people want to do more than checking the weather or playing an app from their Google Assistant and may actually want to complete more complicated tasks like talking with doctors, checking bank balances, and making online purchases with nothing more than a voice-activated keyword phrase. Consumers may actually welcome ad-based voice-activated queries if they provide a convenient way to tap into products that they want. It is important to note that most people can opt-in or out of voice deals so that they do not feel like the ads are being pushed on them. This fosters a positive sense around the brand and the use of the voice-activated assistant. In terms of whether there are any negatives associated with the campaign, it was said that there was some confusion between the word “in to” and “into” with individuals needing to manually edit the voice entry to “into”. How Can eCommerce Leverage Voice Coupons? Every single marketplace that currently runs on, deals in, or is impacted by eCommerce business will be able to use voice coupons and voice-activated assistants to their advantage. With more than forty percent of the consumer base using voice on a daily basis, at least one in nine are going to use smart speakers to make a purchase or shop online. This means that a percentage of those consumers are going to opt-in to voice-activated coupons and are, therefore, more likely to make purchases on their preferred marketplace. For those who are running small-to-medium sized enterprises, whether this is on a large marketplace like Amazon, eBay, and Etsy, or through their own portal are going to be able to expand their marketplace presence to larger audiences. Finally, the entire eCommerce industry is going to be able to leverage the shift towards transactions that do not require a user-interface to complete. The benefit? Consumers are quickly able to make a purchase, browse brands, and get queries answered without clicking through an interface of some sort. One potential drawback is that sellers, regardless of what marketplace they are using, could dictate or create transaction fees that you may or may not be aware of. Plus, with voice-activated coupons that stem from a partnership or sponsorship could be commission based without the consumer even knowing. How Let’s Nurture can help You? As more consumers jump onto the voice-activated assistant bandwagon and the use of voice search, the progression to product and retailer coupons will be natural and expected. Although the large tech giants have already jumped in, there is still plenty of room for those who want to be an innovator in the market. The time to get in is now while the technology is still young and growing. Here at Lets Nurture, we have more than two years of experiencing in developing Amazon Alexa Skill Apps development and Google Home Actions. With our experience, knowledge, and local presence in the Western continental market, we can help take your voice-activated idea and make it into a reality, regardless of whether you are a new and upcoming tech company or a solo eCommerce business. Even for Smart Retail Solutions, you can talk to our experts on +1-631-954-6922. You may also drop an inquiry at info@letsnurture.com .